We were recommended this restaurant by an artist friend. It is the place for artists in the area and also for the “beautiful people”. The indoor areas are full of the most fantastic painting of famous artist and many of the now living can be seen here. Now, everybody was sitting in the beautiful garden which was absolutely full. The service is perfect – they even park the car for you. The food is good, but not as good as it should be for the prize. You visit this restaurant of other reasons – the environment, the beauty of the place and maybe for the chance to get a glimpse of someone rich and famous. Maybe we saw some but we would not recognize them. We however saw some interesting characters – famous or not. We just had a salad at this place, but what a salad. It is difficult to know were to go along the Croisette in Canne so we just dropped into a place that looked good. The service was not great, but the salad was. It is amazing how many ways you can arrange the vegetables on a place to make a salad. This was generous, beautiful and tasty. I had a tomato mozzarella salad and my wife had a Waldorf salad. As too many times in Provence, we however got a bill that they pretended belonged to another table. Of some reason they are always bigger than ours. 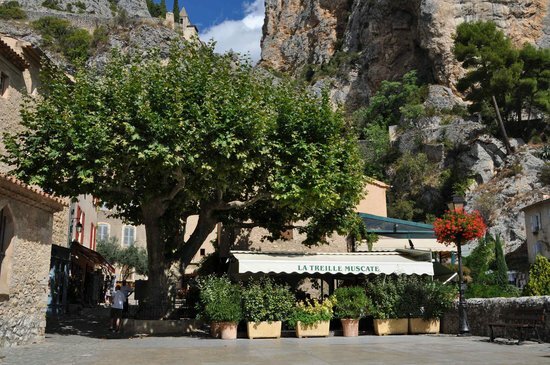 Most restaurants in Moustiers Saint Marie are quite expensive. We usually like to have a light but well-made lunch and put the money on the dinner when we are on vacation. After some time we however found the restaurant Le Relais that looked nice. The prizes were reasonable and they had a selection of smaller dishes. My wife had grilled egg plant and myself, I had Carpaccio on beef. Both were very tasty and well prepared. Maybe my Carpaccio was a little small so I had to take a dessert - a crème caramel that was very good. 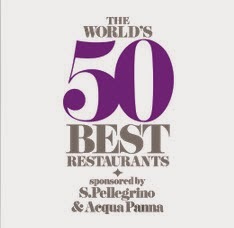 So far we had used Guide Michelin to find good restaurants. This time we liked to find something ourselves. The only criterion was that my wife liked to eat deep fried Squash flowers. 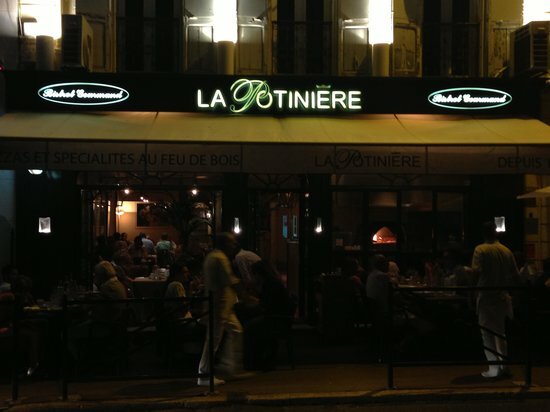 We found the little restaurant La Potiniere du Palais just a little off Boulevard la Croissette. We were not disappointed. The squash-flowers were crispy and delicious. The main course was lamb-chops that were taken off the bone. They were perfect. I have always claimed that French people cannot make mashed potatoes – at least not as good as mine, but I have to change that opinion. For the third day in a row we had really tasty mashed potatoes made with olive oil. Here they had added some pieces of black olives into it – very tasty. They had a good selection of wine on half liter bottles. The service was friendly and professional and the prize was right for such good food. But, on the other hand, if you are located just across the street from the Festival Palace you cannot serve anything but the best. First of all - the food is absolutely fantastic. The starter, the main course and the desserts were all of highest quality. The starter we had was soft boiled egg with an emulsion of bacon - fantastic. For main course we had shoulder of lamb that had been cooked for 36 hours. It was perfect. The dessert was apples in thin stripes rolled like a pine cone with ginger marmalade. Also very tasty. 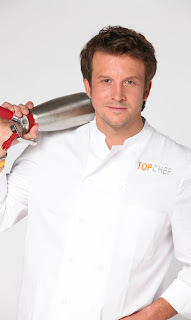 The chef is Ronan Kernen who took part in the 2011 Top Chef in France. With such a fantastic kitchen and chef it is a pity that the rest had a few things to be wished for. Obviously they were under-staffed as everyone was running which was very stressful. One of the waiters bumped into my wife’s chair three times without noticing. If she had been drinking red wine in that moment her dress would have been ruined. The noise reduction in the restaurant was very poor. I could not talk to my wife and nobody else could talk to anyone, so everyone were talking very loud. It was more like a cheap pub than a top restaurant. Besides that we were seated near the serving bar and the kitchen, which was just divided from the restaurant with a simple partition. The noise from the kitchen when the staff threw empty bottles into a bin was terrible. For a restaurant of this quality the wine list was very limited. They only had one wine of red, white and rose on half liter bottles. As they did not have any half liters left of the red we had to buy a whole bottle, which is a bit too much for two. They had the same wine on full bottles so it would have been easy to sell half a liter of that and the rest by the glass. Another strange thing was that I could not order the wine from the waiter together with the food - I had to talk to the sommelier. After a while a person came and asked what we like to drink - we thought he was the sommelier. He however did not know anything about wine and he filled my wife's glass while I still tasted the wine. The sommelier was someone else, which we could see on the golden grapes she had on her jacket. It was also a short discussion if my wife, who does not eat sugar of medical reasons, could have cheese instead of a sweet dessert. The waiter had to ask the head waiter who approved of it. We have only been to one restaurant through all the years that have even questioned such a thing. I am a little sloppy when it comes to checking the bill in restaurants, which my wife is not. At quite a few locations during our trip in Provence we got the bill from other tables, which always were higher than ours. This time however, my wife asked me when we had got back to the hotel, how much it cost and I looked at the bill and told her. That cannot be right she said – it should be at least 30 euros more. I however looked at it as a unintended compensation. We came to St Rémy de Provence on a Sunday so many restaurants were closed. The owner of the hotel however recommended Bistrot Decouverte, which was an excellent suggestion. It is a family owned restaurant in the old town and the food was really good and the prize was very reasonable. The foie gras we had was perfect and the lamb shank for main course was delicious and very tender. The selection of wine was really good with a large selection of local wine that one can buy to take home. The service was very nice with a personal and welcoming attitude. We really enjoyed the evening. As always on vacation we look for restaurants where we can get a light meal for lunch. Les Baux-de- Provence is full of restaurants so it is not easy to choose. On a chance we tried Hostelliere de la Reine Jeanne. The terrace looked nice and the dishes they carried around to the other guests looked good. My wife loves egg-plant so she had a small dish with that and I had a very nice tomato salad with at least three different kinds of tomatoes that had the French name “Farandole de Tomate”. All food they served was really beautiful and the helpings were generous. I am sure it was delicious also - our was. The service was very good and the prize reasonable.